Conference bags are nothing new as promotional items for a company. They are common in trade shows and exhibitions, conferences, presentations, networking events, launch parties, press conferences, corporate hospitality events and company meetings. Companies spend a great deal of money on these conference bags whenever they will have any one of these company sponsored events. All that a company needs to do is to find the right manufacturer to create the bags that are tailored to its contents. Then it becomes the perfect giveaway for the occasion. With the right choice it can also be perfect for what it is intended for – to promote the company and increase brand recognition. Of course, there is the attendee’s satisfaction to consider and this is quite important. Otherwise, the attendee will not use the bag after the event and the company will lose the chance to use that as a promotional tool. It is important for the company to make sure that the bag will be used by the attendee in his daily life, as in attending other events, in meeting clients and contacts and in everyday office use. 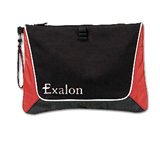 Of course there are other types of promotional conference bags which are not intended for the office use. These bags are given by companies in different types of events, such as gaming expos, hunters’ expos, and other similar events. Now the bags given at these events are intended for outdoorsy individuals, and therefore the bags must be suitable for the personalities and lifestyles of the attendees. Thus, the bags given out here can be tote bags, knapsacks and other similar bags. 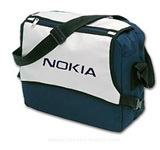 These bags also have the logo of the company and are given out also as a form of promotional tool. Again, for the individual to use these bags, the company must ensure their quality, style and usability. Gamers attending expos will not use tote bags that are perfect for mothers in the supermarket. Similarly, expos for supermarket goers will not use laptop bags in their everyday use. The differing demands of the companies, due to the widespread market makes manufacturers of conference bags offer several types of bags using different materials and varying designs. These bags also differ in price, since a laptop bag, for instance, would definitely be more expensive than a supermarket tote bag. However, it is not the price of the bag that actually matters. It is the appropriateness of a certain type of bag and its design that can determine whether the bag becomes a part of the attendee’s everyday life or not.